1.Various information modules providemultiple choices for wiring system. 2.The design of modules exceed the standardrequirement. 3.Units with colors are easy to identityand easy to manage network. 4.Be able to meet the allocationrequirement of various work. 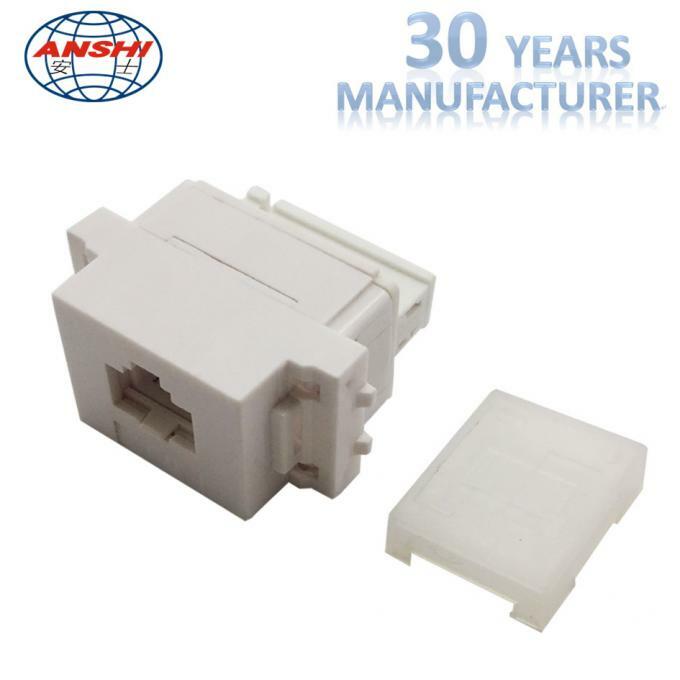 RJ45 connection module of Category 5, for the setting up of transmission channels of class D with up to 4 plugged connections and class E with up to 2 plugged connections when using a R&M Cat.7 system cable, complies with Category 5 requirements of the standards ISO/IEC 11801:2002, EN 50173-1: May 2007, DIN-EN 50173-1: Dec. 2007 as well as ANSI/TIA/EIA 568-B.2-1, de-embedded tested in acc. 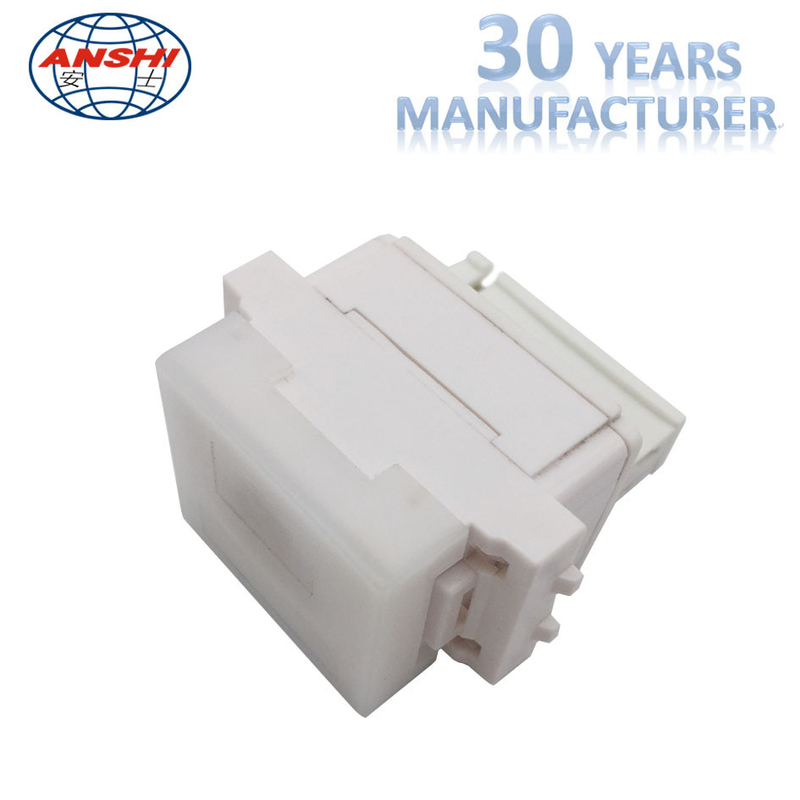 with IEC 60603-7-3, interoperable and backwards compatible with Category 5e (2000) and Category 5 (1995). Suitable for 1GBase-T applications in acc. with IEEE 802.3 over 100 m.
Tested in line with R&M's manufacturing control, performing 100% inspection. PCB-free and tool-free Easy-Lock connection of installation cables AWG 24 – 22 (0.5 mm – 0.65 mm) and flexible cables AWG 26/7 – AWG 22/7 (as of production date 07461). Parallel pair termination without crossover in acc. with EIA/TIA 568-A/B, gold-plated bronze contacts for >1000 mating cycles, IDC contacts with single-wire strain relief and >20 insertion cycles, contact resistance <100 mOhm, dielectric strength >1000 Veff. Shield contacting by patented shield lance with integral cable strain relief, shield material tin-coated bronze, ground contacting through 2 contact fingers for flat connectors 4.8 x 0.5 mm, with EMC cover. Material: halogen-free and heavy-metal free in acc. with EU directives RoHS and WEEE. Connection module Cat.5e, with dust cover, EMC cover, mounting plate, cable tie and installation instructions.